When you think of fall, what naturally comes to mind? It’s football season, and we love to watch the players who have turned the sport into a career! NFL players work tirelessly to dedicate their lives to the one sport most Americans devote 3-4 days out of their week to watching. But how do they train, promote and gain an advantage over their opponent come game day? According to an article posted by Jenny Vrentas’ with The MMQB, NFL players will go to great lengths to get a winning edge over their opponent. Medical professionals and coaches all recommend the best natural-performance enhancer in the game: sleep! Teams all across the league are taking extra steps to ensure their players get the recommended sleep to be on their A-game. At least a dozen teams in the NFL have taken major strides in ensuring their players protect their multi-million-dollar investments by implementing mandatory sleep routines. The benefits have proven to be outstanding, with players logging anywhere from 8-10 hours of sleep per night. If NFL stars can find time in their busy schedules to get enough sleep, so can you! What better place to start than with the perfect mattress? Sleep Outfitters will work with you to find a perfect mattress that fits your needs and ensures you get a restful sleep. 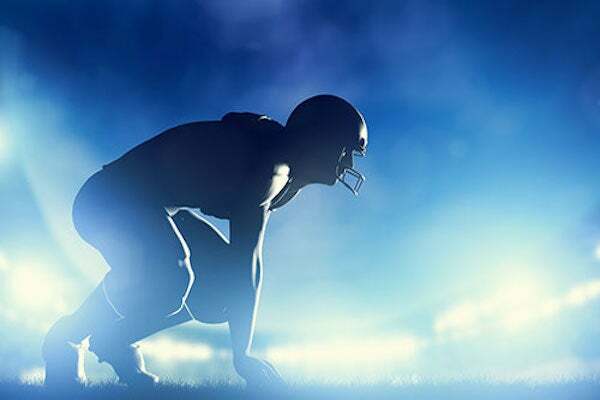 You might not be waking up to rigorous training and playing football in front of thousands of people, but your routine requires just as much sleep if you want to be on your A-game as well. Let us help you score the best night’s sleep, only at Sleep Outfitters.